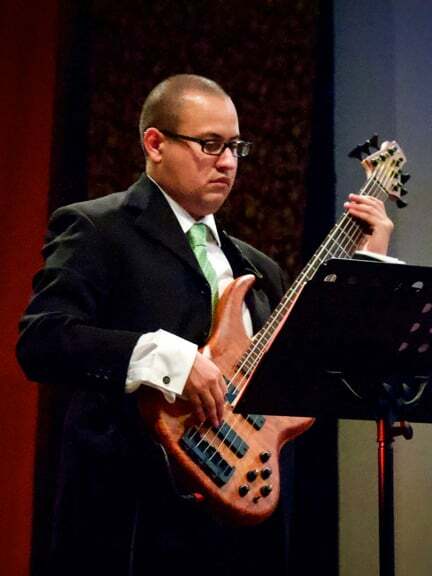 Daniel Menjívar is an accomplished bassist and arranger with an exceptional reputation of professionalism. His performances before live audiences and in numerous studios early on in his career won him recognition as one of the most promising young bass players in Canada. Daniel’s bass playing sounds more and more promising as time goes by… — Luis Orbegoso, Toronto-based Percussionist. Since 1992, Daniel has been playing professionally throughout North America where his multifarious experiences have helped to shape his distinguished sound and have established him with a solid foundation in many diverse styles of music. At the same time, his dedication to Latin genres and their influence on his music is evident in his unwavering sense of time and rhythmic precision. …his sense of time is very precise; his bass lines are both sweet and strong at the same time… — Feliciano Arango, NG La Banda. Toronto bandleader Igor Babich states, Daniel is an intelligent player, he easily adapts to a variety of styles; when I was looking for a bass player for my Jazz quartet, Daniel was a natural choice… Daniel’s unique ability to fluidly adapt, coupled with his vast knowledge and expertise in world genres have afforded him the opportunity to collaborate with many well-known, respected artists including Grammy recipient and Rumba All-Star Israel “Toto” Berriel (formerly of Los Muñequitos de Matanzas); Grammy Academy member and world-renowned composer Luis Emilio Ríos; Juno award winner Hilario Durán; Juno award winner Manuel Jara of Oscar Lopez’ band; Cuban salsa star Rojitas; and countless others. Daniel was born into a musical family with a long heritage of guitar players. His family’s musical traditions were passed down to him since the early age of five when he began his musical studies. After seven years of intense rhythmic and harmonic studies he started to experiment on different instruments including drums, congas, percussion, vocals, clarinet and bass. His love for the electric bass was undeniably strong, but even while his bass studies intensified, he continued simultaneous studies on the guitar. 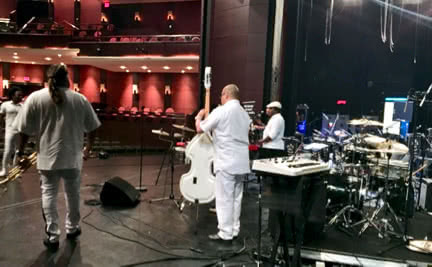 Eventually, his proficiency on the electric bass far exceeded his guitar abilities, but even today, Daniel continues to play the guitar as well as congas, güiro and other percussion instruments. 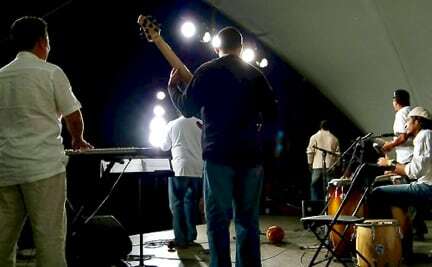 In addition to studying Jazz and contemporary music at the reputable Humber College in Toronto, Canada (while focusing on composing and arranging), Daniel embarked on his own private studies and research into the roots and development of Afro-Cuban and traditional Latin American music. …his background in Latin and Jazz music runs deep… He has a conscientious approach to learning and seeks out opportunities to learn and grow as a player and as a person. – Peter Robinson Chance Devlin, Vancouver-based Bandleader. 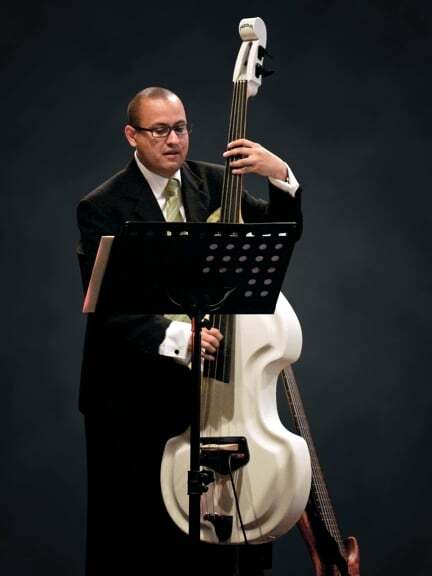 Daniel has had the good fortune of studying with various internationally acclaimed musicians including Cuban bass player Feliciano Arango of NG la Banda “The Father of Timba”; New York session bassist John Benitez; and Daniel’s mentor, the highly sought, Tokyo-based Dale James, who is regarded as one of the greatest bassists alive today. 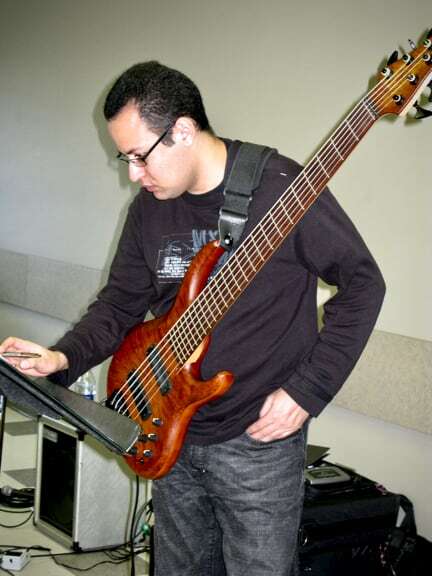 Daniel’s extensive knowledge of music theory, as well as his modern approach to electric bass technique have established him with his own roster of aspiring students. 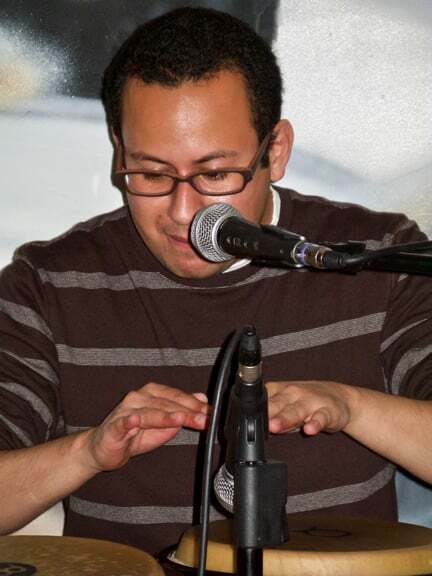 Daniel Menjívar has been playing music professionally throughout North America since 1992 and though Latin music runs through his veins, he’s been fortunate to have had the opportunity to play a wide spectrum of genres like Jazz, Funk, African, Brazilian, Folk, Rock, etc. Nowadays, virtual recording sessions are becoming more common thanks to modern advancements in recording technology intersecting with the ubiquity of the internet and online payments. While some people might feel uncomfortable with technology, for someone like Daniel with years of experience recording music and a natural inclination to all things tech, this is a very exciting time! Daniel’s experience, expertise and solid communication skills allow him to work with a ton of interesting people from around the world. Contact Daniel to discuss your project and get the ball rolling! Daniel Menjívar specializes in arranging Latin dance music such as Salsa, Cumbia, Merengue, etc., as well as Latin Jazz and Latin fusions. 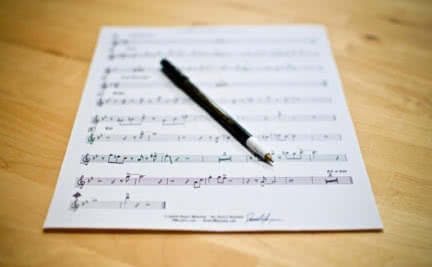 He takes a great deal of pride in creating good-sounding, clean arrangements and exceptionally easy-to-follow charts that are well laid out to facilitate flawless sight-reading on live performances. Daniel’s formal education in composing and arranging was acquired while studying Jazz and contemporary music at Humber College in Toronto, Canada, but perhaps more significantly, he’s been actively studying Afro-Cuban and traditional Latin American music his entire life. …his background in Latin and Jazz music runs deep… – Chance Devlin, Vancouver-based Bandleader. If you’re interested in knowing more about his arrangements and the services he provides, please do not hesitate to contact Daniel. He’s invested a lot of time in setting up online systems to automate as much as possible so he can spend more of his time creating music. This makes the whole process very straight-forward, organized, uncomplicated, and exceedingly efficient for everyone involved. Daniel Menjívar has been playing with a myriad of professional artists throughout Canada and the United States since 1992. Over the years, he’s gained valuable experience in providing music for many diverse types of events including corporate functions, galas, weddings, private parties, wine tasting events, theatre performances, concerts, night clubs, restaurants, cafés, festivals, etc. Known for his exceptional professionalism, impeccable organization and iron-clad reliability, Daniel has established an excellent reputation and has earned the recommendation of many businesses, including club owners and event planners. He can provide music in a wide variety of styles from subtle background music to livelier party/dance music, in many different formats — trios, quartets, large ensembles, etc. Contact Daniel for more information or to request a quote. Receive email about charts, upcoming events, blog posts and exclusive content available only to subscribers.